Day two of Power Con exclusive Masters of the Universe Classics reveals is upon us. Today we get a look at the man with the HUGE hand, Chopper! 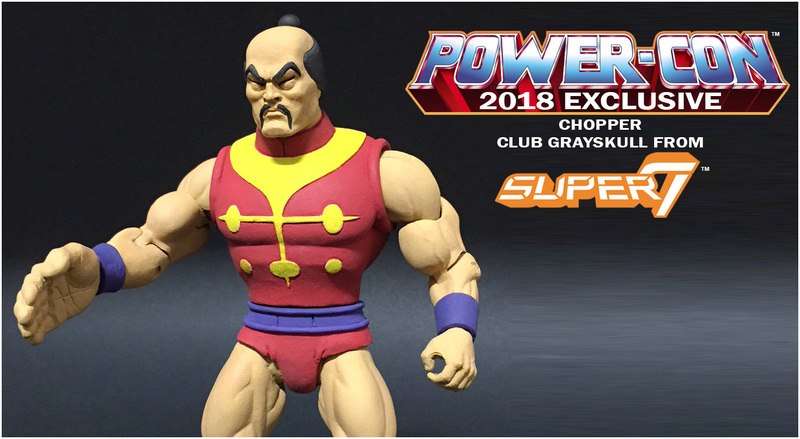 Chopper is from the Filmation cartoon, so naturally he will be part of Super7’s Club Grayskull line and packaged accordingly. Tomorrow we’ll get our last reveal.